As I find myself sitting at my desk sipping a delicious hot cup of tea and relaxing in the thickest, fluffiest socks I own, I think it is now officially autumn, hi-pip hurray! I love autumn it gets me all excited for the festivities that lie ahead and means I can now officially start planning wintry blog posts! 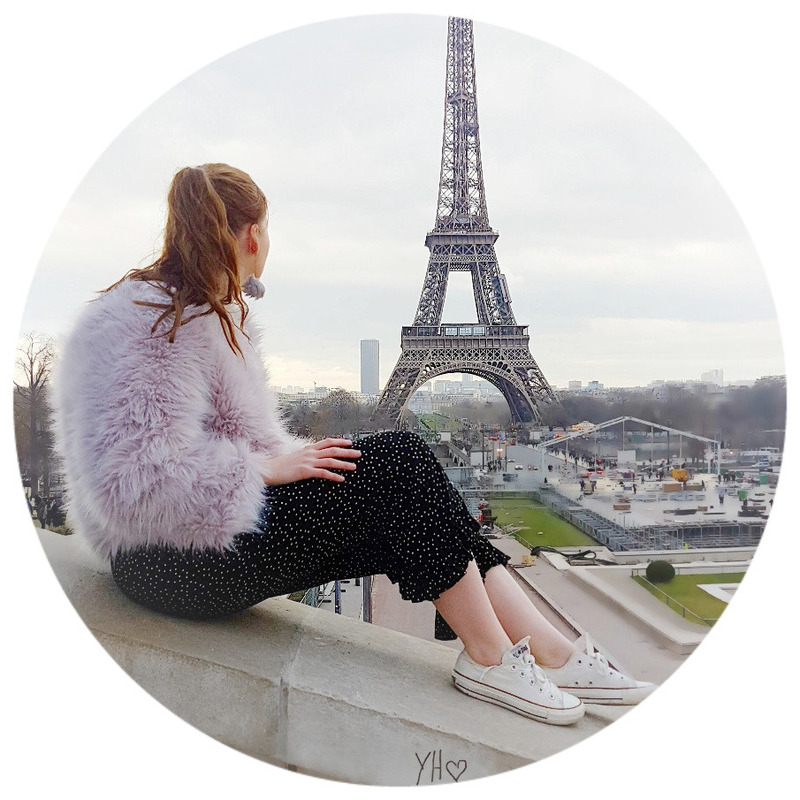 Today I thought I would kick off my autumn/winter blog posts with some hair products that I have been using the past couple of weeks and what are my favourite go-to products to use during the colder months. So grab your cups of teas and keep on reading if you are interested! Aussie 3 Minute Miracle Winter Remedy - Any of the Aussie's 3 Minute hair masks are definitely worth trying out. I tend to use them when I don't want to sit for 15/20 minutes with a hair mask on but still want the deep treatment. These are so quick and effective to use once a week and work wonders on your hair especially during the colder months. I like to use the Winter Remedy during the cold months just to give my hair a deeper treatment. Silk 18 Natural Conditioner* - Conditioners are essential when it comes to my hair as they always leave my ends feeling moisturized and super smooth. I have recently been using the Silk 18 conditioner and have seen such a difference in my ends of hair. I was a little apprehensive with it being a lightweight formula as my thick hair craves moisture in winter but, I was pleasantly surprised to see it do a good job! This left my hair feeling silky smooth and smelling like vanilla all day! Aussie Anti Frizz Conditioning Milk - This is a product you use after you have washed your hair, you pump onto your hands and rub it into the ends of your hair. I use this a lot during the colder months as this completely cures any frizzy or split ends that occur after I have showered. This just keeps my ends looking a lot healthier and stops my hair getting as tatty. Salon Science Aqua Cooling Spray - This spray has saved my hair so much recently, whenever the weather dramatically changes my hair suffers from dryness and sometimes even a flaky scalp, not fun I know. I use this spray once I have just washed my hair to give it a bit of moisture and softness. I don't know how it has done it but it 100% has removed any traces of dry scalp or ends on my hair. 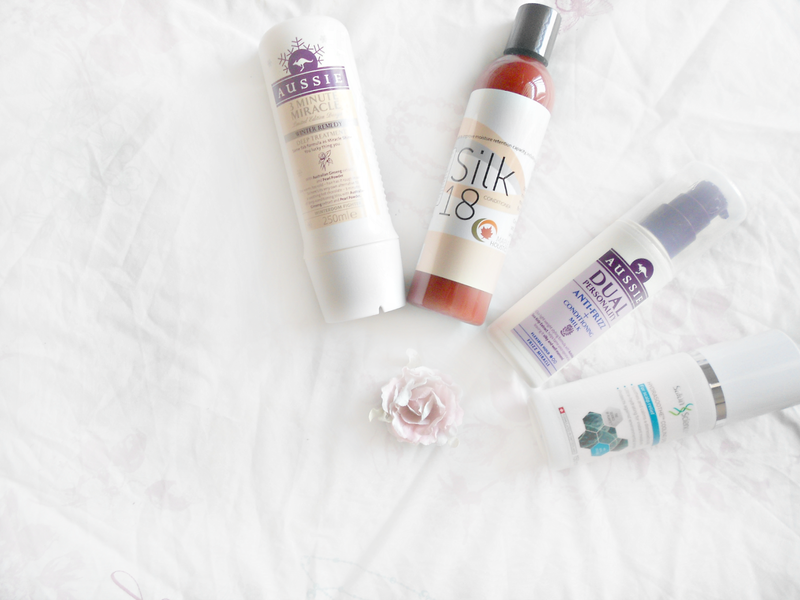 I always struggle with keeping my hair from getting tatty, dry or split during the colder months so I am always on the hunt to try to avoid it and these products are really helping. 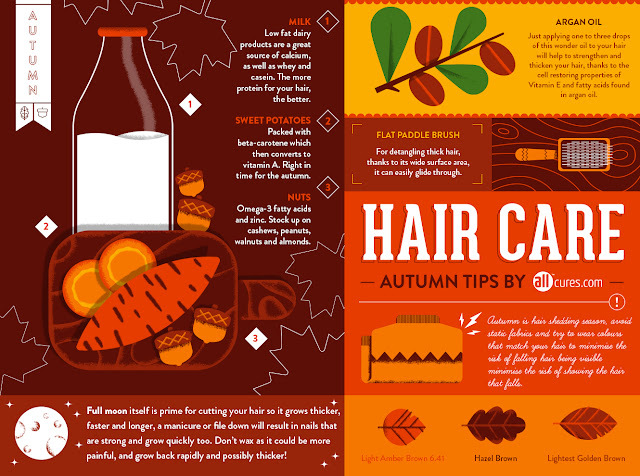 I recently discovered a blog post about Caring For Your Hair During The Autumn Months on the Allcures* website which is full of useful tips to help keep your hair looking healthy and smooth during autumn, this website is now currently sitting in my bookmarks as it is full of useful tips to read, definitely check it out! What are your favourite autumn hair care products?? Are Aussie products good? I've been wanting to try them for a while now. And I think I'd need the frizz conditioning milk. Very good. I have used them for years (hence the far back posts!) I would recommend them they totally help! I love Aussie for haircare, their 3 minute masks work so well and leave my hair feeling so soft! I agree they really do the trick in such a short period of time too! Aussie haircare is one of the best smelling hair brands. I also really like Moroccanoil. I love Moroccanoil I was going to include it in this post as I always use it too but the photographic perfectionist that I am refused to add it in with the large bottles! I like one of their shampoo bottles that smells of bubblegum! Thanks for sharing the tips, I love aussie products but always wondered what this milk did exactly! The milk is by far my favourite out of them, this is my second or third bottle it lasts such a long time and does wonders! Ooo, I like the sound of the winter remedy, I might just have to pick that up. It was a limited edition hopefully it is back in stock this winter! My hair does too, I have just had it cut which made a huge difference! Oh my goodness girl you need to get your hands on one you are missing out! Aussie do sample hair masks which is good! I haven't used Aussie in forever, I must check them out again! I cannot budge from using them, I have tried other brands but always return to it! I think it saves so much time and effort but does a great job! Do let me know what you think of them if you try them! Glad I could help you lovely! Yes, you need that asap It makes such a difference to your hair too. Oooo I have heard that!